A burst of early morning sun convinced us – it didn’t have to try very hard – to stay in Millau for one more day and see if we could get at least a reasonable picture of its attractive viaduct spanning the valley. There’s a viewing belvédère 3mls/5kms up a twisting hairpin road that provides a decent vantage point if there’s some morning sun. We made the climb just in time; as you will see from the picture, the sun almost didn’t last long enough, though the gathering clouds lend a little drama to the scene, I suppose. This subject would seem a complete natural for the Fuji 6×17 format, so here goes. 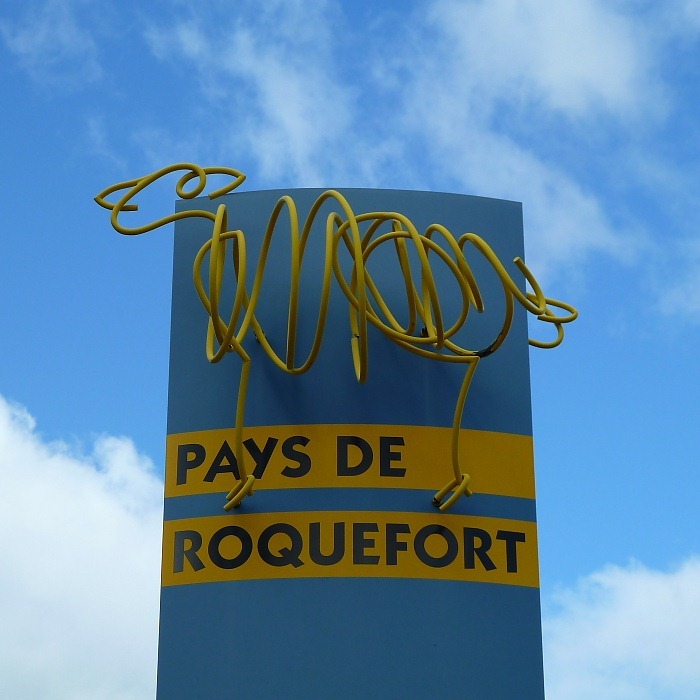 About 25kms/15mls beyond the viaduct is Roquefort, home of the esteemed blue cheese made from sheeps’ milk. As usual we will be ending up on our favourite dairy sheep farm in Fanjeaux and, since the milk from those sheep goes to make Roquefort cheese, we thought we’d go and visit the end product as well as the producers of the raw material. 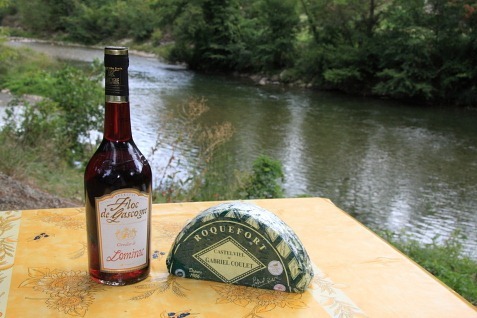 Having visited a couple of the caves, we are now the proud owners of a quarter of a Roquefort. I’ve also invested in a bottle of Floc de Gascogne which, being a sweet, fortified concoction similar to Pineau des Charentes, should accompany it very well.